Want something to blow away those winter blues and warm the soul? 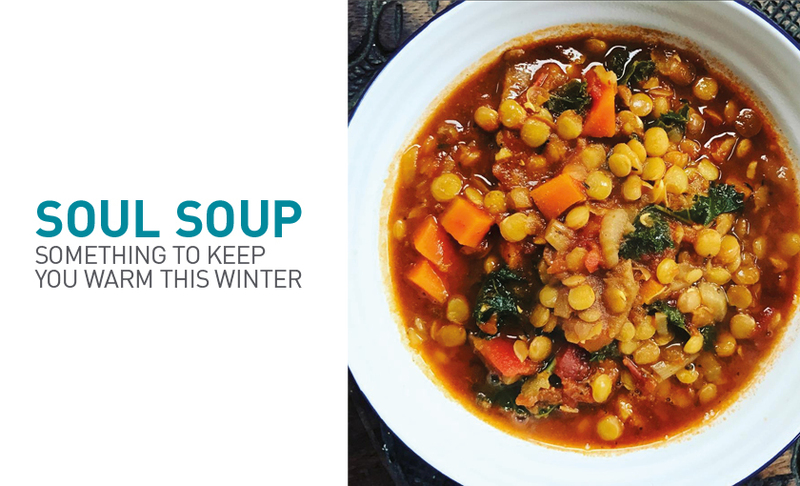 Venetia, one of our top instructors, shares with us her recipe for her favourite Lentil Soup. Give it a try! 1. Cook the onions & carrots in the oil for 5 mins. 2. Add cumin, thyme, curry powder & garlic. Cook for 1 mins. 3. Add tomatoes. Cook for 5 mins. 4. Add lentils, stock & water. Cook for 30 mins. 5. Add kale & cook for an extra 5 mins. Serve piping hot! SO YUM!